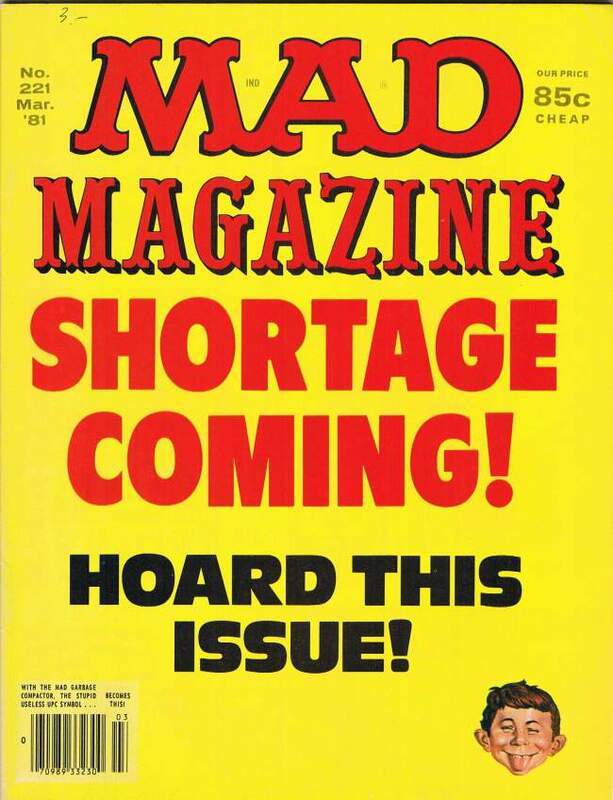 Cover: Shortage coming! Hoard this issue! Inside Back Cover: What Disgusting Form of Pollution is Now Considered Dangerous to Us All?